This season I have two parsley plants that produce copious amounts of greenery every week. I was harvesting a little at a time to toss into salads or use in soups, but the productivity of the plants got ahead of me. I thought about drying it, but I like the taste of fresh parsley. Solution? Create a puree. 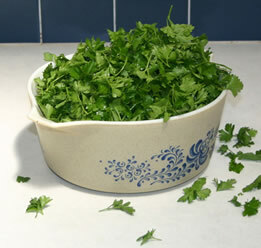 Quantities can be approximated, and this method works well with other chopped or pureed herbs such as basil, mint, chervil, cilantro, dill, and chives. If you are ambitious, you can combine herbs for your own flavoring blends! Remove leaves from stems and wash thoroughly. I like to use my salad spinner for this. Roughly measure 6-8 cups of leaves. 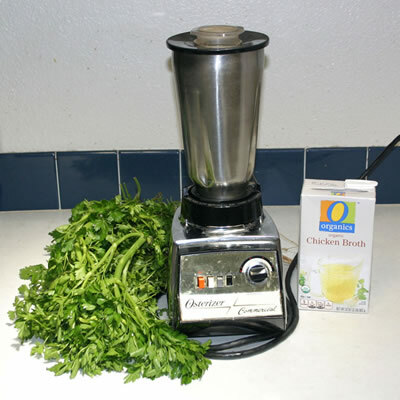 Working in batches, loosely fill the blender canister with leaves, add 1/3 to 1/2 cup broth per blender batch, and puree. Stop and scrap the sides of the blender as needed. Pour into ice cube trays, and freeze solid. Remove from the tray, and store in a Ziploc bag or glass container. 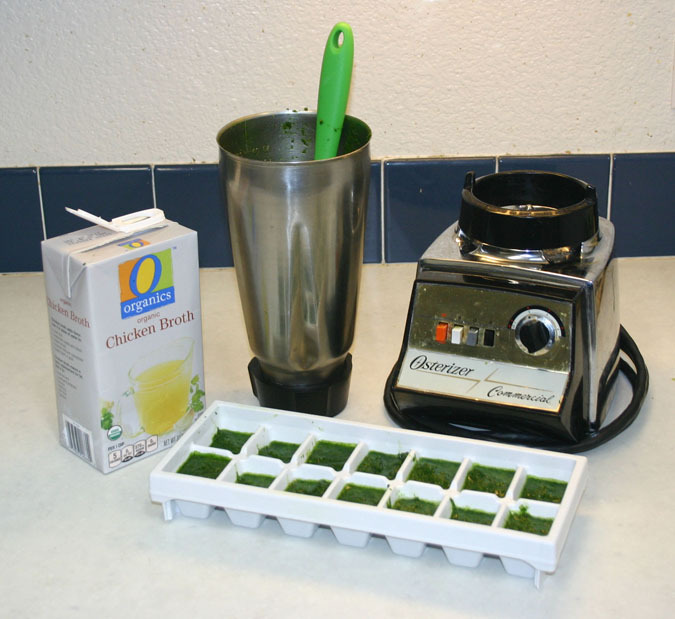 When I make a large pot of soup, or filling for a casserole, I toss one or two puree cubes in the mix. It tastes closer to fresh than dried parsley, and it's so easy! Ecology Action of the Mid-Peninsula has been a small 501(c)(3) nonprofit organization since 1971.